E-Z-Out Jr - Serrated. 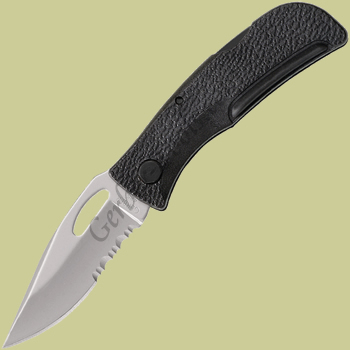 This Gerber E-Z Out Jr model 06551 4551 is a straight forward lockback design with a few extras. One thing is that it is very easy to open one-handedly using the thumb hole in the handle. The handle is a unique combination of glass filled nylon and softgrip inserts that equals a strong handle and comfortable grip. 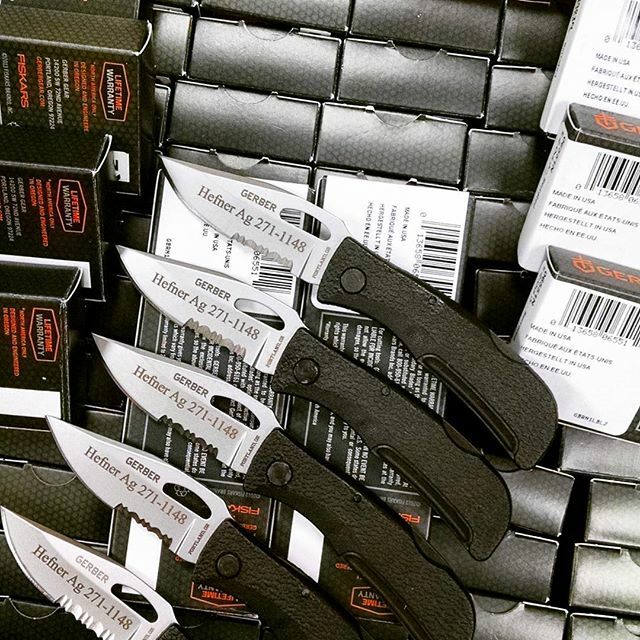 The blade on this Gerber E-Z Out Jr is partially serrated to give you that vigorous type of cutting when you need it most.